Do Medical Aids Cover Glaucoma Treatment? Glaucoma is a Prescribed Minimum Benefit (PMB) as laid down by the South African Council of Medical Schemes. This means that by law your medical aid must cover you fully for all types of glaucoma treatment. Your medical aid must pay for diagnosis, treatment and care, no matter which type of glaucoma affects you. This includes medical and surgical management, laser surgery and even iridectomy, if it should be necessary for iris removal. You should find out which tests your medical aid covers before going for tests, in case your scheme has a test limit per year. If you are over the limit then you get your doctor to write a motivation to your medical aid company motivating the test. Glaucoma Treatment – What is Glaucoma? Glaucoma is not the same at cataracts, although glaucoma is also a condition that affects the eyes. It is second only to cataracts in causing blindness. In glaucoma there is damage to the optic nerve, which connects the eye to the brain, leading to reduced vision and a possibility of blindness. There is a clear fluid in the front chamber of the human. In healthy humans the eye releases small amounts of the fluid so as to reduce pressure in the eye. If this release mechanism is blocked or reduced, pressure builds in the eye causing optic nerve damage. Then there is angle-closure which is a sudden blockage. The causes are various medications or eye inflammation. Symptoms include pain, nausea, vomiting and headaches. 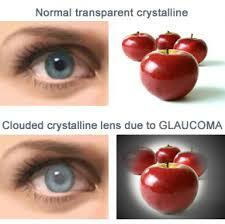 Secondary glaucoma is any kind of glaucoma that have medicines, eye inflammation, disease or trauma as causes. Symptoms are the same as for angle-closure glaucoma. A small percentage of babies are born with glaucoma and this can be hereditary. Symptoms include light sensitivity, streaming eyes and twitching of the eyes. Glaucoma Treatment – How Common is Glaucoma? It is estimated that four percent of adults over forty in Africa suffer from this condition. For South Africa the figure is slightly higher at 5.3%with nearly one quarter of all cases of blindness attributable to glaucoma.